Nothing says party like a big banner with the word “PARTY” written on it. We love doing birthday banner printing, it means that somewhere out there people will be celebrating and we were some how involved in their happy day. We can do birthday banners in Johannesburg or deliver them to wherever you need in South Africa. 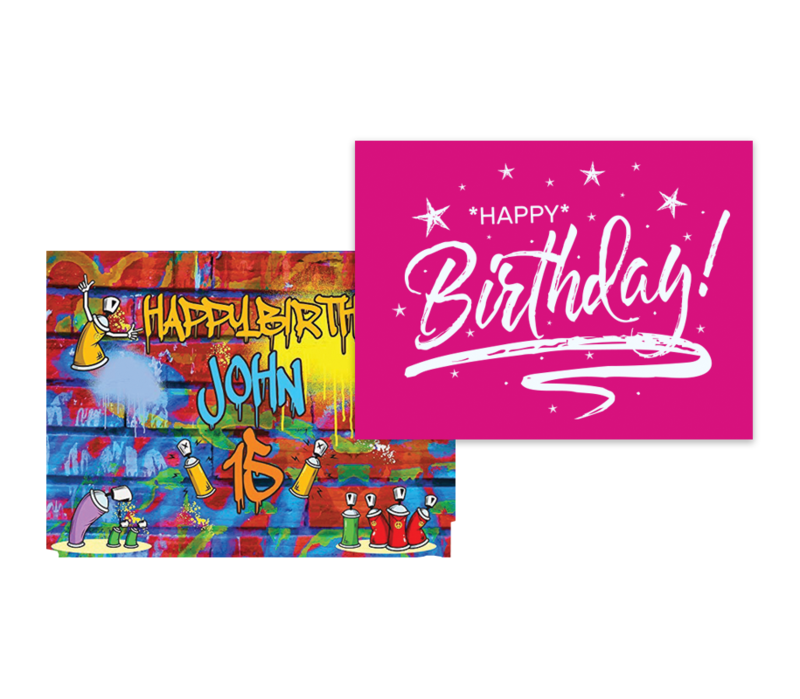 The great thing about BannersOnline is that we do not charge for layout which means that we will be glad to do a layout for your birthday banner, whether its your childs birthday and they want a certain theme. Or maybe its Grandads 80th and you want to surprise him with a giant picture of him in his favourite hat. Banners however are not just for birthday’s, we can do them for any occasion and the other great news is that we can do them any size you need.